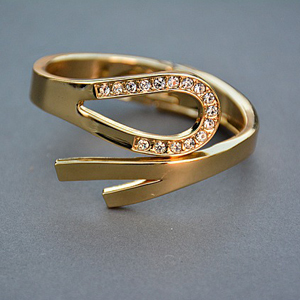 Is your favorite ring or necklace looking a little grimy? Don’t worry—there’s no need to spend a lot of money on fancy jewelry cleaners! You can clean most types of jewelry with common household items. You probably have all of them already. A word of warning, though: not all jewelry can be cleaned with the same techniques. Jewelry made from gold and silver is softer than titanium and tungsten rings, and it requires different types of cleaning. Similarly, hard stones like diamonds can handle cleaning methods that would damage porous stones like pearls and turquoise. To make this easier for you, we’ve broken our guide down into metal and stone types. Simply click on the material that your jewelry is made out of, and we’ll show you all the household cleaning methods which you can use. You may be wondering how to handle, say, a ring made out of a soft metal (like gold) that has a hard stone set in it (like diamond). It’s pretty simple, actually: let the softer material determine which cleaning methods you use. Important: NEVER use acetone, bleach, or chlorine to clean ANY type of jewelry. These chemicals can react with jewelry materials, either damaging your jewelry now or in the long run. DISCLAIMER: Cleaning methods are provided for informational purposes only. All DIY jewelry cleaning is performed at your own risk. We cannot be held responsible for damages done to your jewelry. Gold is a softer metal, but it does not tarnish like silver does. Cleaning gold at home is fairly easy, especially since you have so many methods to choose from. Image courtesy of Quinn Dombrowski. Licensed under Creative Commons 2.0-SA. 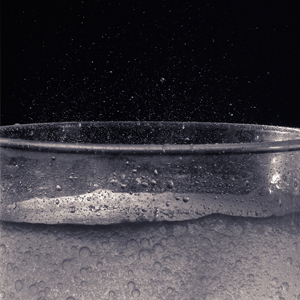 Mix a few drops of mild dish soap with seltzer water or club soda that does NOT contain sodium. Let your jewelry soak in this mixture for a few minutes. Gently brush out any crevices or stone settings with a new, soft baby toothbrush. 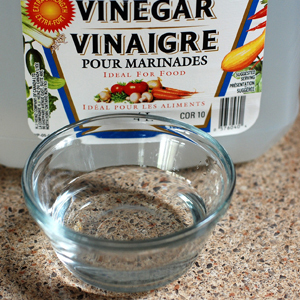 Pour about 1 cup of white vinegar into a bowl and soak the jewelry in it for 5-10 minutes. Rinse with water afterward to remove the acidic smell. 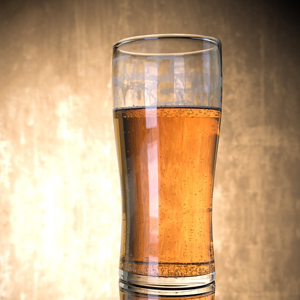 Believe it or not, beer makes a great jewelry cleaner! Just be sure to use a non-dark beer. 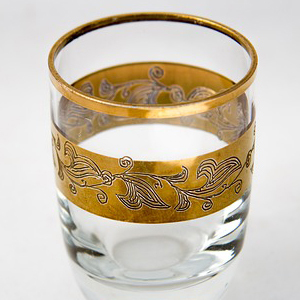 Simply dip a soft cloth into the beer and gently rub your jewelry. Finish with a water rinse. Image courtesy of Spencer E Holtaway. Licensed under Creative Commons 2.0-ND. This may come as a surprise, but you can use denture cleaning tablets to clean gold. 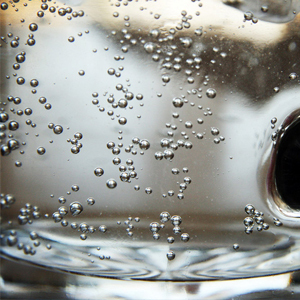 The bubbly action that cleans dentures can also scrub your jewelry. Simply follow the directions that come with the tablets and let the jewelry soak in the solution for 5-10 minutes. Another surprise! 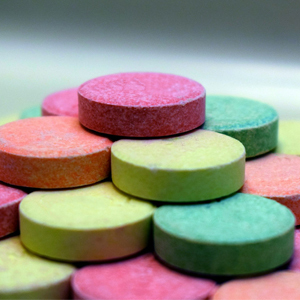 Just like denture cleaning tablets, antacid tablets produce a fizzing effect that can clean your jewelry. Just put an antacid tablet in water and soak your jewelry in the solution for 5-10 minutes. Image courtesy of Your Best Digs. Licensed under Creative Commons 2.0. Take a soft cloth and spray it with a light burst of Windex (or a similar ammonia glass cleaner). Gently rub the ring. You can clean a gold ring in boiling water, but ONLY if it is a solid gold piece without glue. 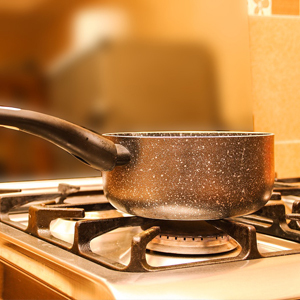 Keep the ring on your finger while you prepare the boiling water so that the gold will be warm when it goes in. Once the water is boiling, remove the ring from your finger and let it sit in the boiling water for a few minutes. Then remove the ring and let it cool before putting it back on your finger. You can purchase an ionic or steam jewelry cleaner at most home goods stores. Simply place the piece in the cleaner, follow instructions, and the jewelry should be clean in a few minutes. You can use an ultrasonic jewelry cleaner ONLY for solid gold without inlaid stones. If you put a gold ring with a stone into one of these cleaners, the vibrations could loosen the stone setting. Not recommended! 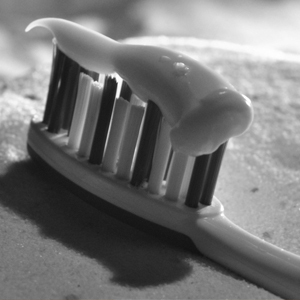 Make sure you use smooth, white toothpaste, not the kind with small gritty material suspended in it. The grit can scratch gold, but smooth toothpaste should be fine. Simply wet a new, soft baby toothbrush, add a little toothpaste, and gently work it into and out of the crevices on your jewelry. Finish with a water rinse. Like gold, silver falls on the softer side among jewelry metals. It needs gentle care. However, unlike gold, silver has its own cleaning problem—tarnish. This is an ongoing reaction which happens between silver and chemicals which it encounters. Other than vacuum-packing your silver and never wearing it again, there is no way to prevent tarnish. Luckily, tarnish is fairly easy to remove. You just have to keep up with it and clean your silver every now and then. 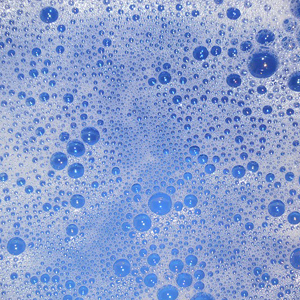 Mix a few drops of mild dish soap with warm water. Stir the mixture, then apply it to the jewelry using a soft cloth. Apply a cool water rinse and wipe dry with a soft cloth. Like gold, silver can be cleaned with an antacid tablet and water. Simply place the tablet in a bowl of water, soak the jewelry for a few minutes, and follow with a water rinse. This method is pretty cool. You’ll use a chemical reaction to remove the tarnish! Simply line a bowl with aluminum foil. Place the jewelry in the bowl and sprinkle it with baking soda or salt. Pour boiling water into the bowl. The resulting chemical reaction will transfer the tarnish from the silver to the aluminum foil. Neat! If not all the tarnish comes off the first time, try repeating the procedure. 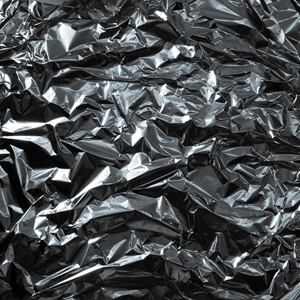 Dump out the water, throw out the old foil, and try again with fresh foil and a larger amount of baking soda. Image courtesy of Rebecca Partington. Licensed under Creative Commons 2.0-SA. You can clean silver with ketchup, just don’t leave it in the ketchup for too long. 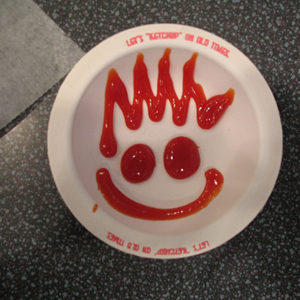 Put a little ketchup in a bowl and immerse the jewelry in it. After a few minutes, take it out and scrub gently with a new, baby toothbrush. Follow with a water rinse. 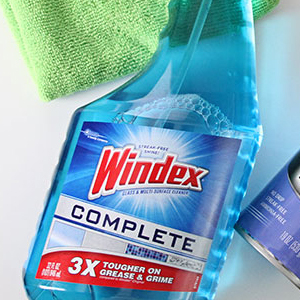 Like gold, silver can be cleaned with Windex or a similar ammonia glass cleaner. Simply spray a soft cloth with a light burst of cleaner and rub the ring gently. Use plain, smooth white toothpaste and a new baby toothbrush. Wet the toothbrush, add a dab of paste, and gently work the grooves in the jewelry. Don’t use gel toothpaste or other types that have grit suspended in them. Rinse with water when finished. If nothing else works, you can use silver cleaner as a last resort. However, as WikiHow reports, this method is not recommended because silver cleaner contains harsh chemicals. Titanium, tungsten, and cobalt are hard metals, and there’s very little you can do to damage them while cleaning. However, note that for titanium rings with precious metal inlays, you want to keep them away from bleach, chlorine cleaners, and swimming pools. Chlorine will damage the precious metal inlay in this type of ring. 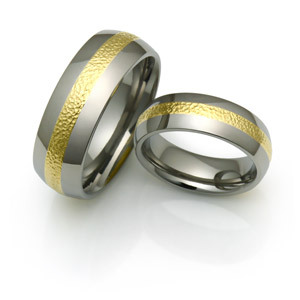 IMPORTANT NOTE: Anodized titanium rings (those with special colored areas) need to be treated more gently. See the next section for cleaning an anodized titanium ring. Mix a little dish soap with warm water. Dip a soft cloth into the mixture and gently scrub the ring. Use a new baby toothbrush to clean any grooves or stone settings. Apply a water rinse and dry with a soft towel. Windex and similar ammonia glass cleaners work well on titanium. Simply spray the cleaner on a soft cloth, rub the ring clean, and rinse the ring with water. You can use an ultrasonic jewelry cleaner on your titanium ring as long as it doesn’t have an inset stone. The vibrations in this cleaning method can loosen a stone. 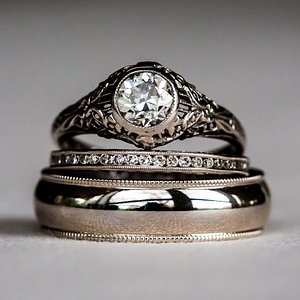 If your ring does not have a stone, simply place it in the cleaner and follow the manufacturer’s instructions. Your ring should be clean in a few minutes. Use the same techniques as you would for non-anodized titanium, tungsten, and cobalt—EXCEPT no scrubbing! The abrasive action of scrubbing can remove the anodized coating on the colored areas. Instead of scrubbing, pat the ring with a soft cloth. Image courtesy of Lisa. Licensed under Creative Commons 2.0. In the world of jewelry, pearls are temperamental and easily damaged. Unfortunately, due to their porous nature, they easily lose their shine and require frequent cleaning. The only cleaning solutions you can use are variations on soap and water or shampoo. Harsh cleaning mixtures will cause permanent damage. NEVER use Windex or other cleaners on pearls! Other soft stones like turquoise and opal may be cleaned with the same method. However, when in doubt, take these stones to a jeweler for cleaning. WikiHow recommends using a solution of baby soap and water to clean pearls. Simply dip the jewelry in the solution, then rub gently with a soft cloth. To rinse, prepare another soft cloth that is dampened only with water (no soap). 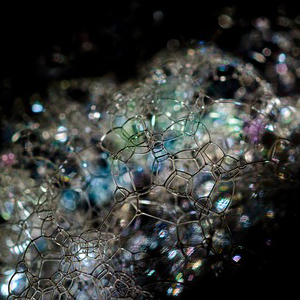 Gently rub the pearls with this cloth after the soapy cloth. Image courtesy of TVZ Design. Licensed under Creative Commons 2.0. Diamond is the hardest substance on earth. There’s very little you can do to damage the actual diamond in your jewelry while cleaning it. 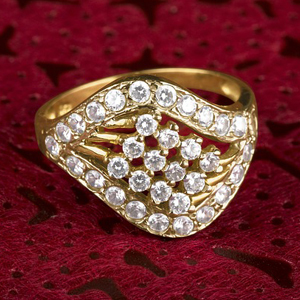 Generally, you will need to take greater care with the metal and the gem setting than with the diamond itself. Your best option for cleaning diamond jewelry is a simple solution of soap and warm water. Mix up the ingredients, soak your jewelry for a few minutes, then take a new baby toothbrush and gently scrub the gem setting and any grooves. Rinse with water. If your diamond is set in gold, you can use a denture tablet dissolved in water to clean it. 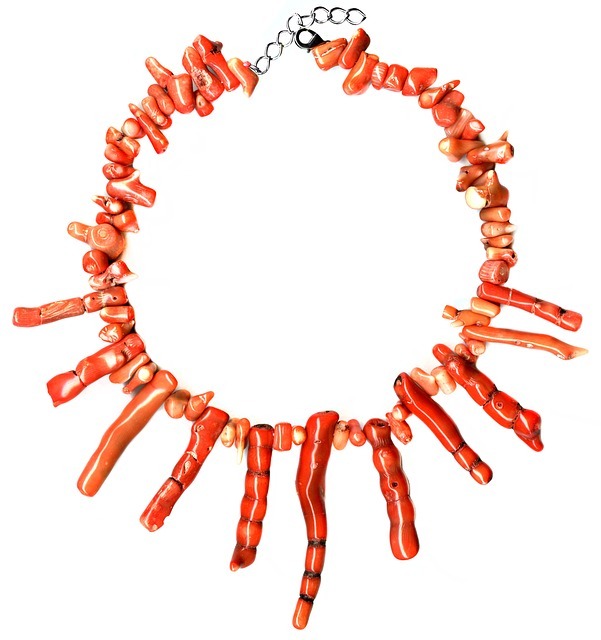 Simply follow the tablet instructions and soak the jewelry in the mixture for a few minutes, then rinse with water. This method is not recommended for diamonds in silver settings. Use plain, smooth white toothpaste that does not have any kind of grit suspended in it. (I.e., avoid colored gel toothpaste.) Moisten a new baby toothbrush, apply a little toothpaste, and scrub the diamond and its setting. Rinse thoroughly with water. Believe it or not, you can clean your diamonds with vodka! Simply dampen a cloth with the liquor and rub the jewel. Rinse with water to finish. Image courtesy of Malcos. Licensed under Creative Commons 2.0. As the Gemological Institute of America explains, many of the rubies, sapphires, and emeralds on the market today are fracture-filled stones. These stones are extremely delicate when it comes to cleaning and contact with chemicals. Both ultrasonic cleaners and cleaning chemicals can destabilize the filling of the fractures. The ONLY safe way to clean them is with warm soapy water and a soft cloth, as outlined elsewhere in this article. Looks like cleaning jewelry at home is easier than you thought! The main thing is to know your metals and your stones, and which techniques can be used on which materials. When in doubt, use warm soapy water, a soft cloth, and a gentle touch. Happy cleaning!